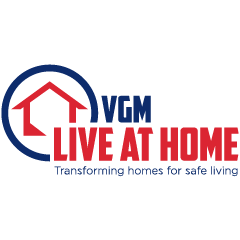 The Aids to Daily Living Specialist (ADLS) credentialing program is administered by VGM Live At Home. This certification program is designed to assist the professional dealing in the retail environment of aids to daily living and accessibility items. The ADLS program is intended to reduce the disparity in training and knowledge found among professionals who evaluate and recommend solutions for the safety, comfort, and environmental access needs of aging and physically challenged individuals. The program consists of a three unit self-study educational program, unit reviews and a comprehensive final exam. Upon successfully completing the entire program, you will hold the distinction of being a certified Aids to Daily Living Specialist (ADLS). Note: This program will also assist those studying for the C.E.A.C. certification program. Continuing education: VGM Education is authorized by IACET to offer 2 contact hours (0.2 CEUs) to participants who successfully complete this three-module program. This certification program is non-refundable once the student has been active in the course. Questions, contact VGM Live At Home at 877-404-2442. 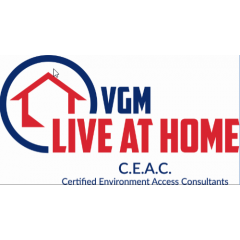 This collection of courses has been approved by VGM Live At Home to be taken in order to recertify a Certified Environmental Access Consultant (C.E.A.C.) credential. VGM Education is authorized by IACET to offer CEUs for each of these courses. Please click on the link below for a listing of the courses offered in this bundle. The Certified Environmental Access Consultant (C.E.A.C.) 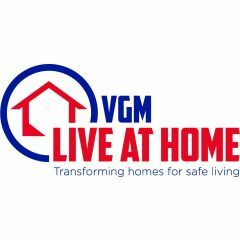 credentialing program is administered by VGM Live At Home. Environmental Access is the process of adapting the workplace, residence and/or general environment to promote the independence, safety and functional ability for the physically challenged and aging individuals. The C.E.A.C .is a recognized certification for professionals creating accessibility or working in the environmental access field. The program consists of a 5 unit self-study educational program, unit reviews, and a comprehensive final exam. Upon successfully completing the entire program, you will hold the distinction of a Certified Environmental Access Consultant (C.E.A.C.). This certification program is non-refundable once the student has been active in the course. Questions, contact VGM Live At Home at 877-404-2442. 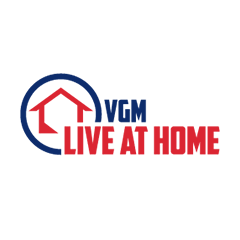 VGM Education and Live at Home offers a bundle of courses to help advance your business. VGM Education is the industry’s leading online education resource and provides more than 300 interactive courses in 18 categories. Take advantage of this opportunity to get 6 courses for a fraction of their retail cost. The PLC program is designed to reduce disparity in training and professional knowledge among people who evaluate, install, and maintain modular platform lift systems to provide vertical access for people with physical challenges who cannot navigate stairs with or without the use of platform lifts. This program also assists those studying for the Certified Environmental Access Consultant (CEAC) certification exam and the CEAC Mastery Program. This six-module Residential Grab Bar Specialist (RGBS) Program has been developed to educate the environmental access and home modifications professionals in grab bar, railings, and railing systems design, construction, and alterations that safely resolve individual mobility and accessibility needs. The program is designed to reduce disparity in training and professional knowledge among people who evaluate, design, install, and maintain grab bars, railings, and railing systems to provide residential access for people with physical challenges. This program also assists those studying for the Certified Environmental Access Consultant (CEAC) certification exam and the CEAC Mastery Program. CEAC applicants should pay close attention to any highlighted glossary terms and obtain additional resources when necessary to better understand topic areas. This six-module Residential Ramp Consultant (RRC) Prep Program will give you the education you need to install ramps that safely resolve individual accessibility needs. This program will teach you the range of products and their uses, how to identify and recommend design modifications and the documentation necessary, the variety of personal mobility devices and how they relate to ramp design, ADA guidelines, and the overall complex role of the RRC. VGM Education is accredited by the International Association for Continuing Education and Training (IACET) and is authorized to issue the IACET CEU. VGM Education is authorized by IACET to offer 0.3 CEUs for this program. This is a six-module Stairlift Consultant (SLC) Program developed to educate the environmental access and home modifications professional in stairlift design and installation that safely resolves individual stairway accessibility needs.